Sunday’s lightning raid by a joint force of Ugandan, Congolese and South Sudanese forces on Joseph Kony’s Lord’s Resistance Army rebel camps was the culmination of months of preparation by the UPDF as a Plan B in case the Juba peace talks failed, Daily Monitor can reveal. Many of the military drills for the exercise were done in Barlege in Lira, in Kitgum, in Gulu and Singo military training camp in Mubende, according to officers who participated in the preparations spanning over six months. The crack unit now deployed in the jungles of the Democratic Republic of Congo to hunt for Kony comprised several elements of the UPDF. The combat troops were picked from the air force, armoured brigade, intelligence, commando unit, marines and paratroopers. Military sources, speaking on condition of anonymity because of the sensitivity of the matter, told Daily Monitor that preparations for ‘Plan B’ began in June when President Museveni issued an order recalling Brig. Patrick Kankiriho from the UPDF 3rd Division in Moroto, where he was a division commander, to camp in Pader. He was later followed by Lt. Col. Muhoozi Kainerugaba, the First son who is also the commander of the Special Forces after he was discharged from the Presidential Guard Brigade to join the regular forces. The Chief of Staff of the Air Force, Col. Moses Rwakitarate, an equally young and energetic officer was drafted onto the team. Meanwhile, the troops on the border regions, including those inside Sudan, were put under a new group in the UPDF that has come to be called the “new generation”. Most of the commanders in this group are said to be in their 40s and fairly better trained and educated than the older generation of army officers. The military preparations were boosted by defections from the LRA ranks and bloody internal purges among its officers which saw the execution of Kony’s erstwhile deputy, Vincent Otti. 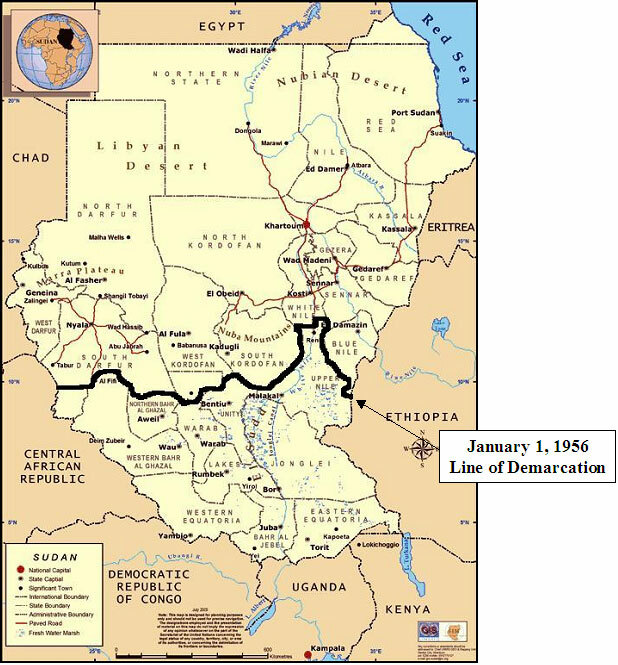 Under pressure from the international community, especially the United States, Kampala, Juba and Kinshasa then signed an agreement that would allow joint cross-border operations against rebel groups in the region. This meant that the UPDF could follow the LRA across the border into DR Congo where the rebels had set up camp in the jungles of Garamba National Park, protected by the harsh terrain, the several thousand kilometres from Uganda’s borders, and the incompetence of the poorly armed, trained and paid DR Congo army. At a meeting of regional security chiefs earlier in the year, different tasks were given to different actors and other countries in the Great Lakes region affected by activities of the LRA. Monuc forces pledged medical, food and other logistics for the foot soldiers of the United Front against Kony and his commanders, sources told Daily Monitor, while the UPDF and SPLA were tasked to provide intelligence for the mission. 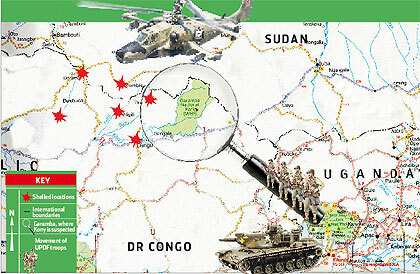 The Congolese forces were to take part in combat operations against the rebels. With the pieces of the puzzle finally coming together, only one piece remained elusive; a peace deal had been agreed and a date – November 30 – pencilled in for Kony to sign. The more pacifist countries among the international community involved in the talks insisted on giving peace one more chance. The United States had already shown its impatience with the stop-go nature of the talks earlier in the year when its top diplomat on Africa, Ms Jendayi Frazer said Washington would not sit by and watch while Kony re-armed in Garamba. After Kony failed to turn up, yet again, on November 30 the pin finally dropped. Early on Sunday, months of military preparation gave way to action when UPDF fighter jets took off from Yambio in the Sudan Peoples’ Liberation Army (SPLA)-controlled territory of South Sudan and attacked LRA bases in Suke, Pilipili, Nyere, Garamba park and Bayoute, all in the Democratic Republic of Congo. Other attack helicopters swooned in from Dungu, where a DR Congo army brigade under the command of Col. Muhindo Mundosi has a base. As the air raids pounded rebel bases, infantry units closed in from Dungu, Yambio, Iba, Yei and Maridi, military sources said. The rebel camps that came under lightning attacks were covering a distance of close to 100km. Capt Chris Magezi, the operation’s spokesman, said Central African Republic was supportive of the UPDF operations in the area but could not commit forces because of internal problems. Details of casualties on either side were not available by press time yesterday but this latest offensive, with its regional support and international backing, albeit covert, offers countries in the region the best chance to defeat one of the most notorious armed groups in the Great Lakes region. If successful, it could offer a working model for joint cross-border operations against other armed groups in the region.